Whimsy Stamps September Rubber Stamp and Die Release!! Over the next 3 days we will reveal the new September 2014 Whimsy Stamps products. They will be available to buy from the Whimsy Stamps store and selected Whimsy Stamps retailers on Wednesday. Today we are excited to show you the brand new Crissy Armstrong, Elisabeth Bell, Meljen's and Raindrop Echo Designs stamps and dies being released this month. For a full reveal of these stamps, check out the Whimsy blog! 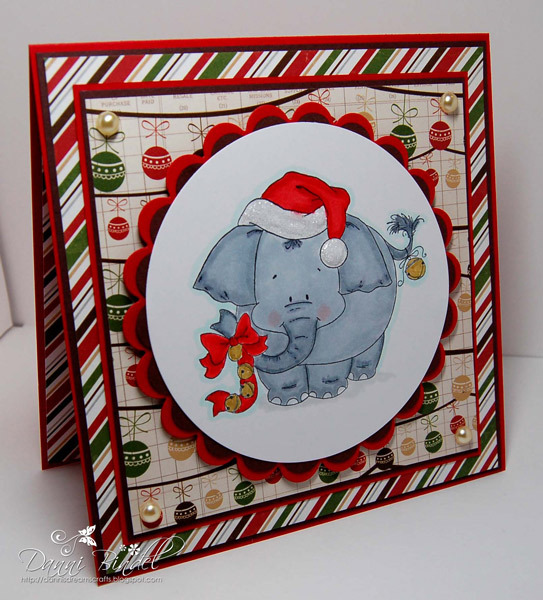 For my project today I used the brand new Crissy Armstrong stamp, Jungle Bells Two-Elephant. In case you didn't know, elephants are my favorite so I fell in love with this fun and cute stamp! Gorgeous card with pretty papers and an adorable stamp! Very cute elephant. I like your coloring and choice of papers. Such a super cute Jumbo! I have a collection of elephants so you can tell which stamp I HAVE to have. He is so cute with his Santa hat. Ohhh! This is soo cute! Love the clean&simple style - really brings out the image! I'll be the first to leave a comment (I think) this is just to stinkin cute - lov elephants and have a lot of chemo buddies that love them too. awww such a cute image. I love the papers and fabulous design too. My 4 year old loves elephants. This card would be perfect for Christmas. Oh, such a cute card. Love the adorable elephant. Very cute card! 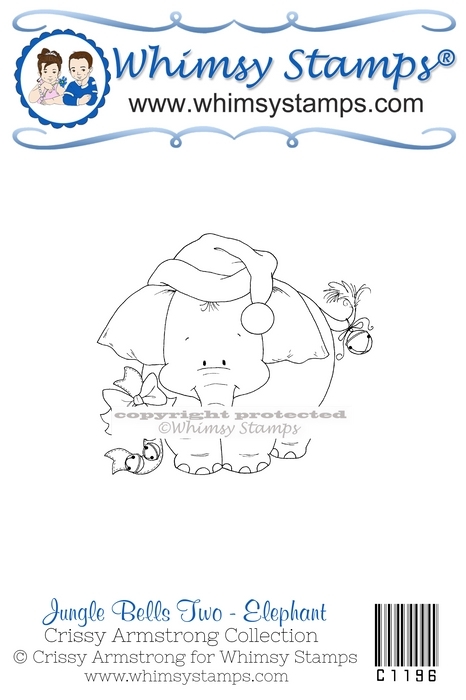 Love the little Christmas elephant! Ohh my, is he ever CUTE!! Thinking he needs to be added to my wish list. Adorable! I love the tiny bit of glitter on the hat and the jingle bells are so much fun! Great choice of papers, too! TFS! Darling card! You did a fabulous job with the coloring! 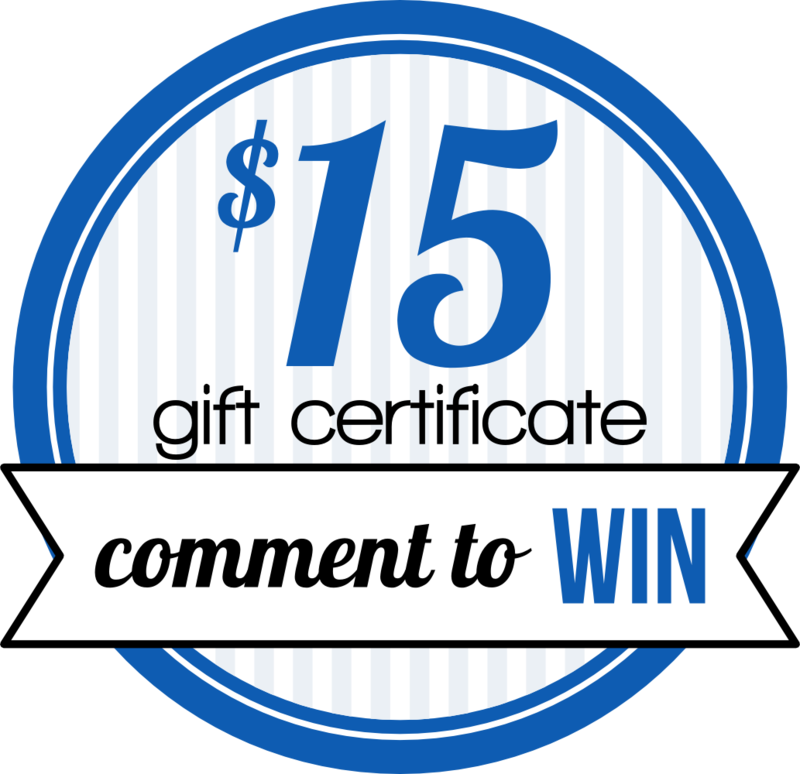 Love your paper choices too! So adorable. You made a great card with it. LOVE your cute elephant framed by those gorgeous papers! Beautifully done! Fantastic card. Love Crissy's adorable elephant. I like how you have glittered up his hat. Well jingle my bells, he is too cute! My mom loves Ele's and jingle bells. Love his happy face. Too cute for words Danni! OMG, just adorable....both the card and the image! What a great start on your Christmas cards!!! 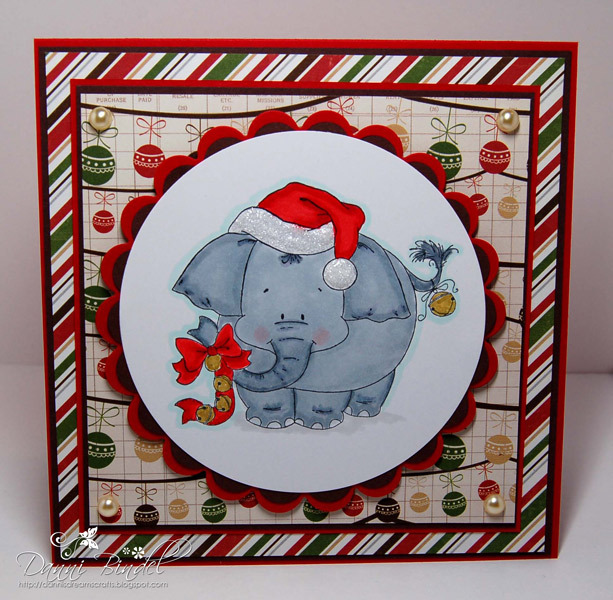 Really cute Christmas card Danni - love that chubby elephant!